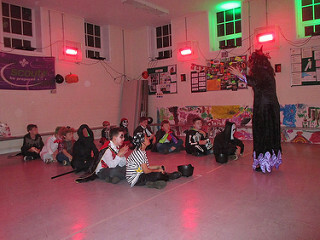 Our last Pack evening in October was our Halloween Party which was an enormous success, with the Cubs turning up in various scary costumes, playing Halloween themed games and eating Halloween themed food. Not to be left out, the Leaders also dressed up, which now seems to be becoming a bit of a competition amongst them as to who turns up in the best costume! A big thank you to the Scout Leaders for leaving us all the decorations and equipment from the Scout Halloween party. This created a wonderful atmosphere for the Cub party.